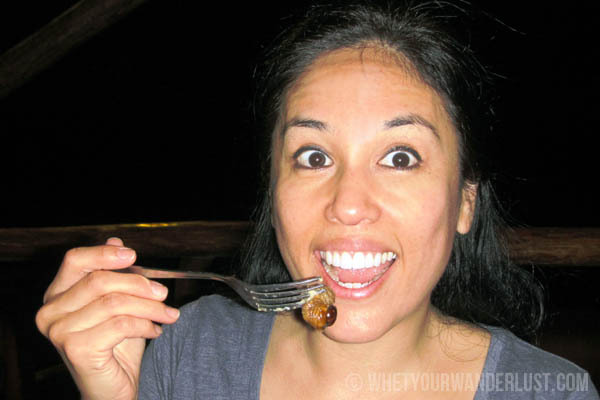 Since then, I must admit that I somewhat regret not having taken full advantage of the plethora of weird and wonderful at Beijing’s Donghuamen Night Food Street on my last visit to China. 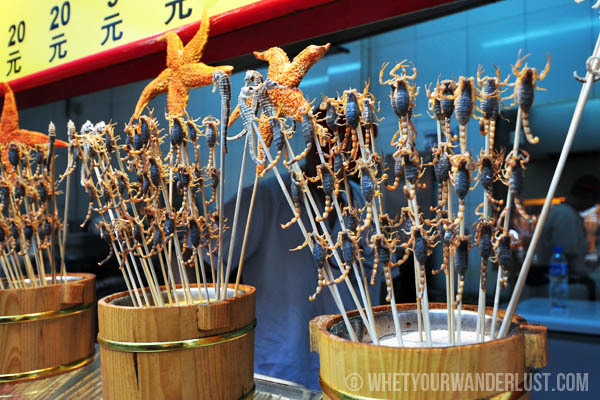 But whether or not you’re an adventurous eater, die-hard foodies can’t miss this famous snack street at the northern end of Wangfujing Pedestrian Street and Dong’anmen Street. The sights alone are a spectacle to behold. To massive… I don’t even know want to know what insect that is! 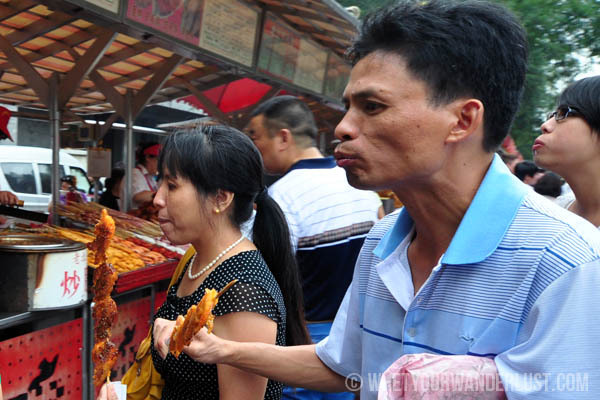 The Chinese are known far and wide for their love of food, acceptance of otherwise unloved body parts (chicken feet, intestines, fish eyeballs, anyone? ), and curious definition of what constitutes “edible”. Donghuamen Night Food Street epitomises this. 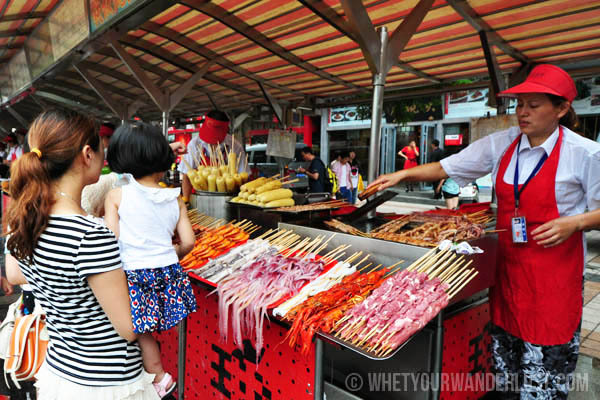 You’ll find nearly 100 stalls – all plying a dizzying array of delicacies to take your fancy. 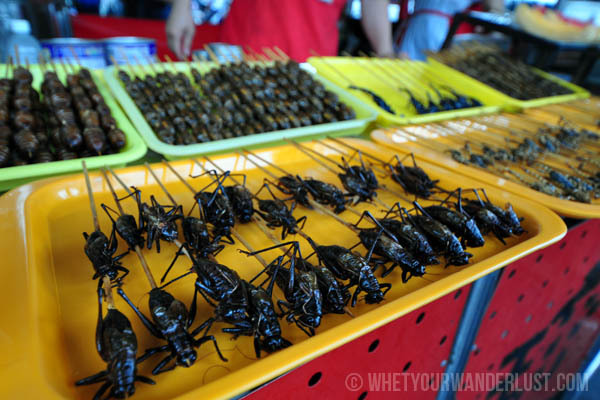 Centipedes, starfish, spiders and silkworm pupa, plus more boring fare like beef, prawns, corn on the cob, octopus, and (gasp!) chicken breast. This man seems to be enjoying his food! Plus, the menu is conveniently bilingual so you know exactly what you’re getting, in case there happened to be any confusion. 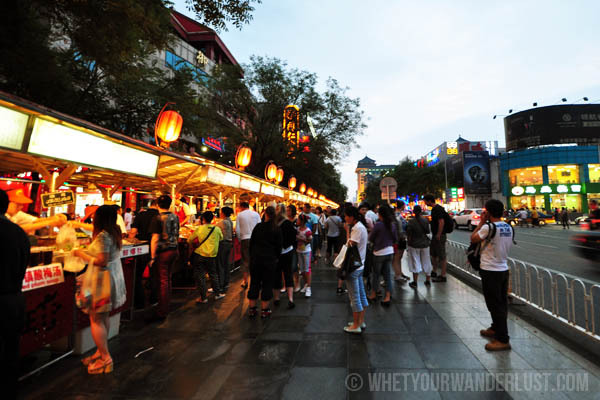 And if that’s not enough for you, just down the road near the Beijing Tourist Information Centre you’ll find the Wangfujing Snack Street. 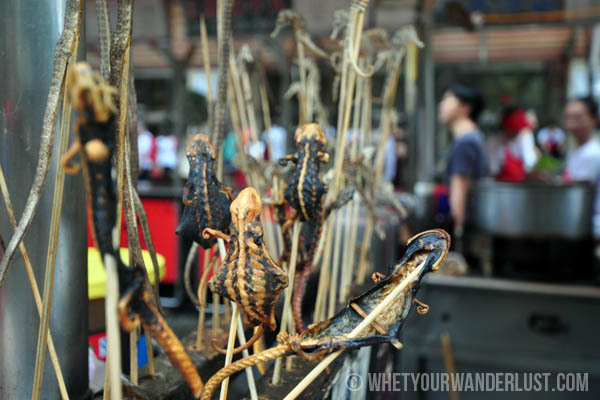 I saw these lovely scorpions there, skewered and still wriggling. 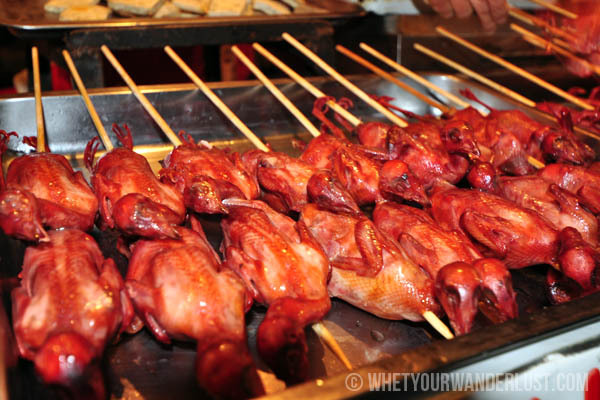 If you’re an adventurous eater and you find yourself in Beijing, skip the Peking duck. THIS is the place to titillate your palate and channel your inner Bear Grylls, minus the long treks and dehydration. ha ha we went to the same place last december! i didn’t blog about wang fu jing street but we had the same thing in harbin as well, have a peek at my photos too hehe. my brothers tried the cicadas!